STEP 1 : Declare the correct well trajectory path. 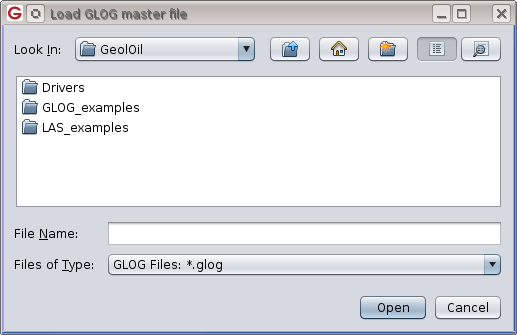 STEP 2 : Use "extensive upscaling" as the processing type. 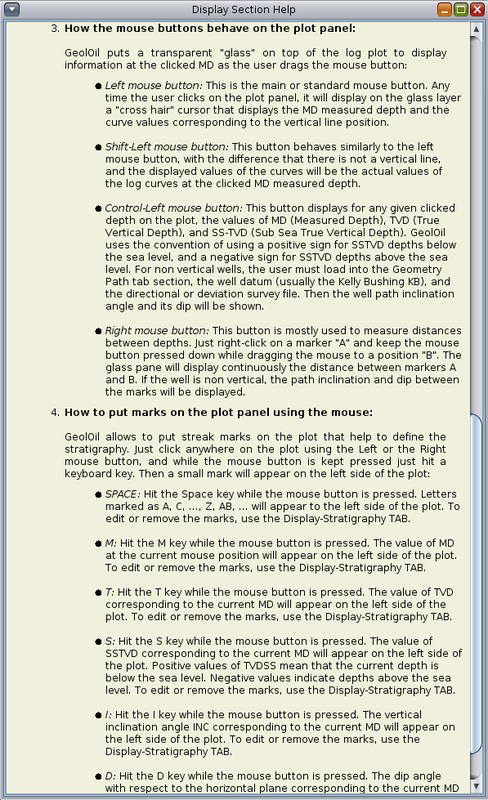 STEP 3 : Define the cutoff system for net-sand. 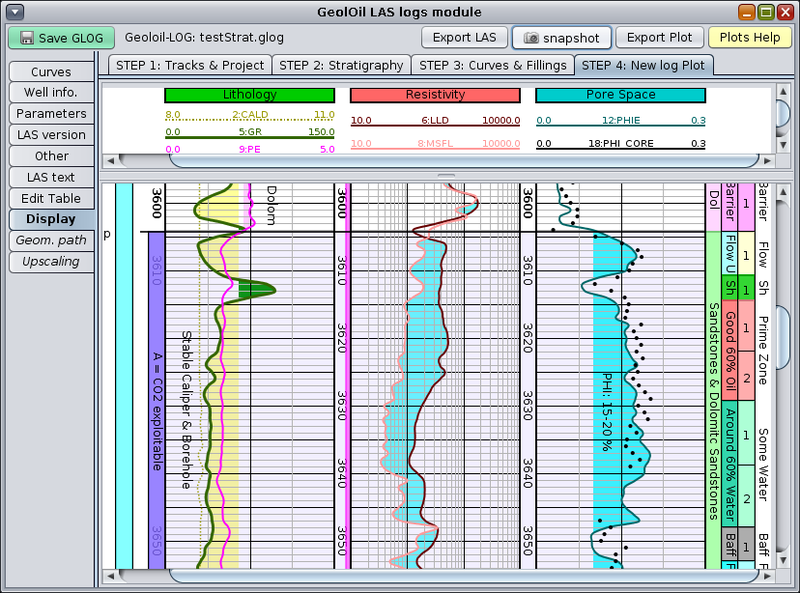 STEP 4 : Select the stratigraphic zones to calculate the upscaling. 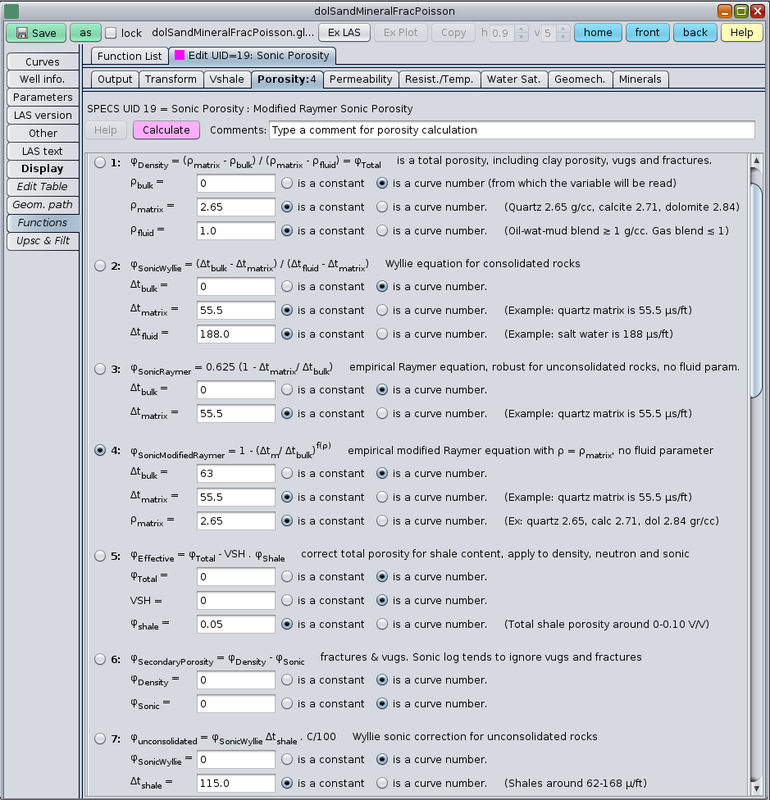 STEP 5 : Define the cutoff system for net-pay. 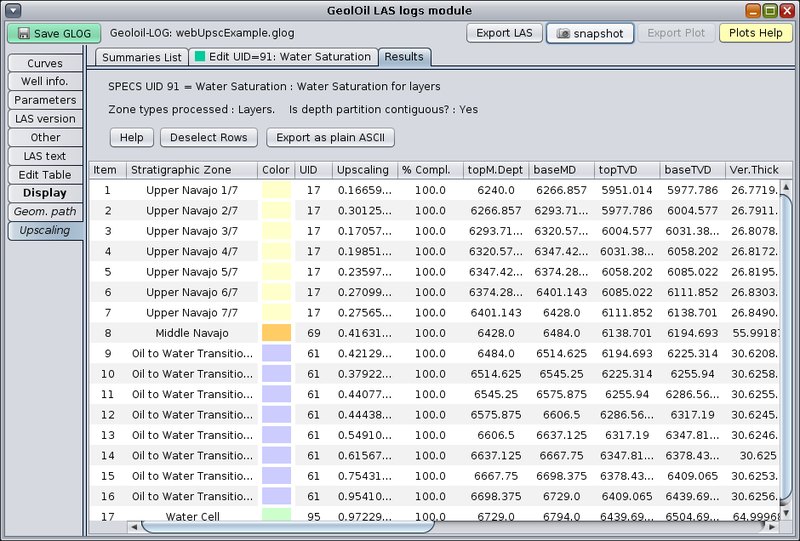 STEP 6 : Display the resulting net-sand and net-pay indicator curves. STEP 1: Declare the correct well path trajectory. 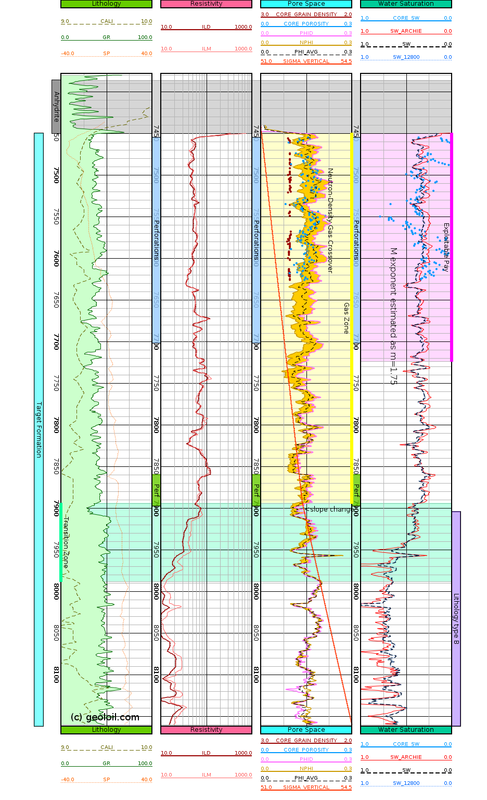 Is the well vertical or non-vertical? 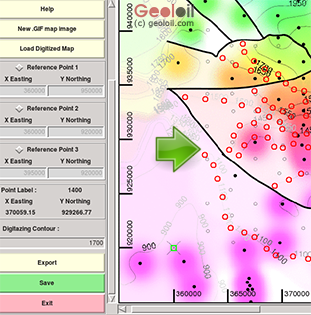 The first step to compute net reservoir rock, net-sand, or net-pay for a given zone is to ensure that the well geometry has been properly defined. 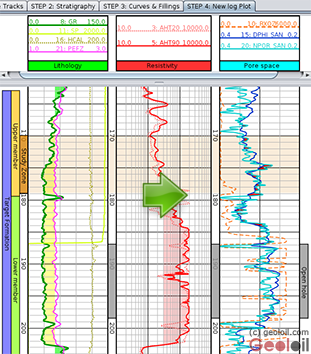 If the well is slanted or non-vertical, a direct count or visual inspection to its log measured depth MD, will yield an overestimation of the real net value. 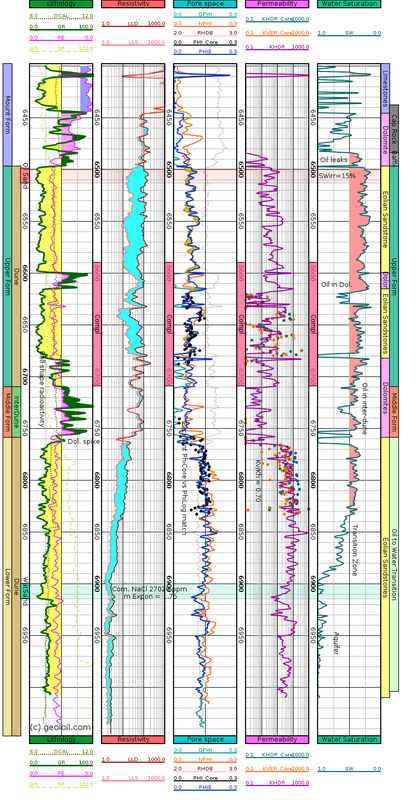 In these cases, the well's directional or deviation survey file has to be loaded, and it must have at least the minimum set of four columns: MD, TVD, DX and DY. 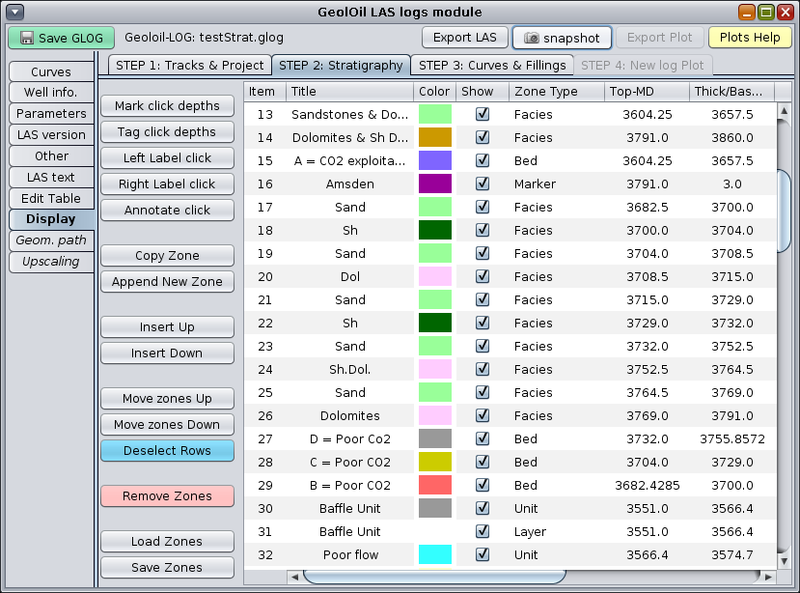 With this information, GeolOil will calculate all the necesary verticalized depth step intervals. 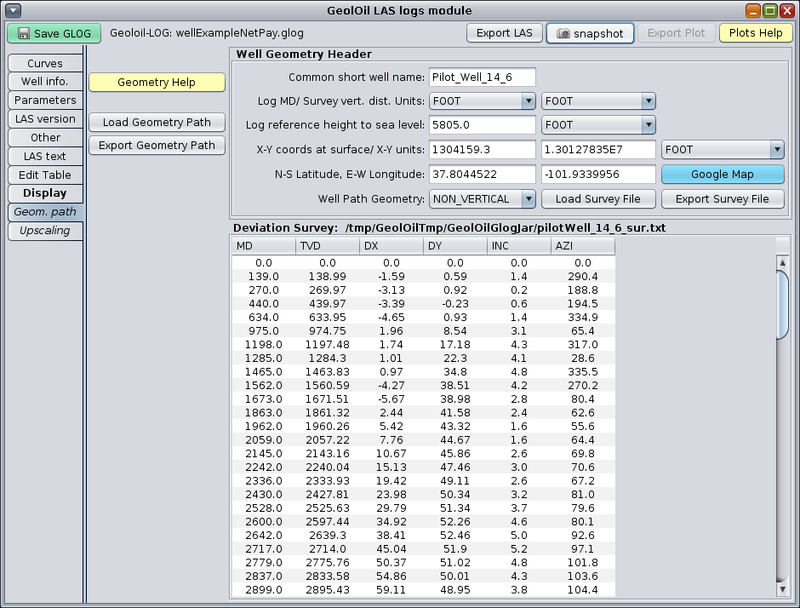 Once the well's geometry directional survey path has been loaded, the user can declare a list with the intended upscalings to be computed. 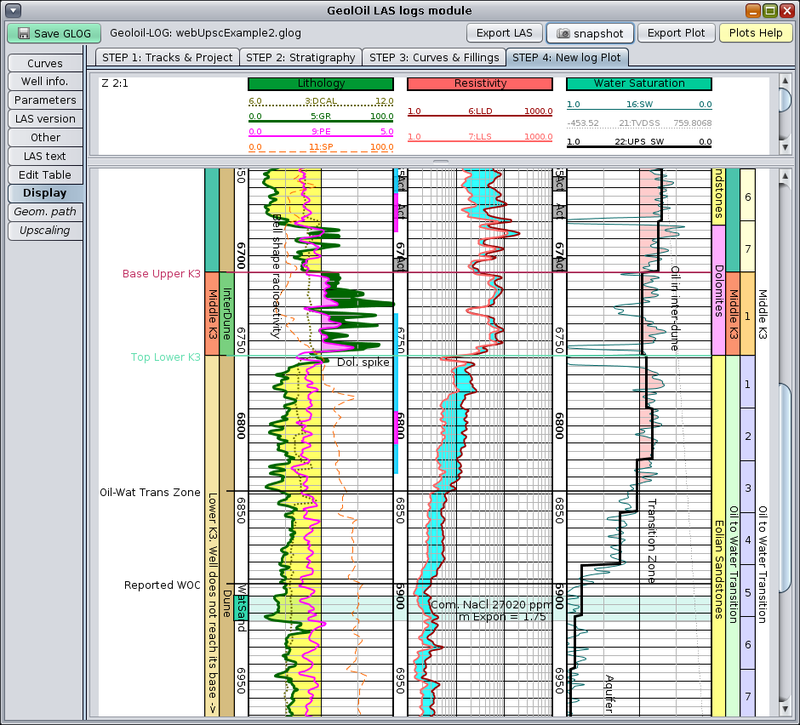 In GeolOil, net reservoir rock, net-sand, and net-pay are considered as indicator extensive upscalings. 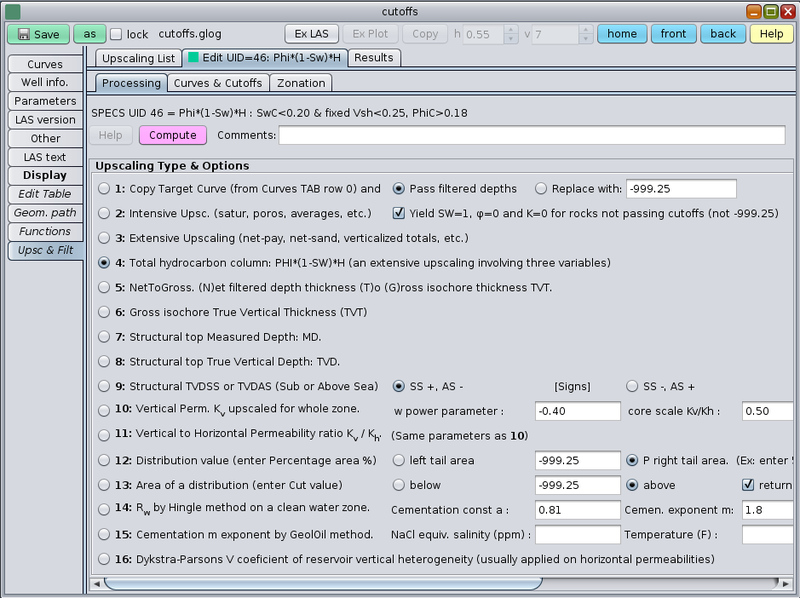 In a typical project, the upscaling list should contain entries to compute not only net-sand and net-pay, but also to calculate the upscaled porosity in reservoir rocks and pay rocks, as well as some sensibilities to define petrophysical cutoffs. 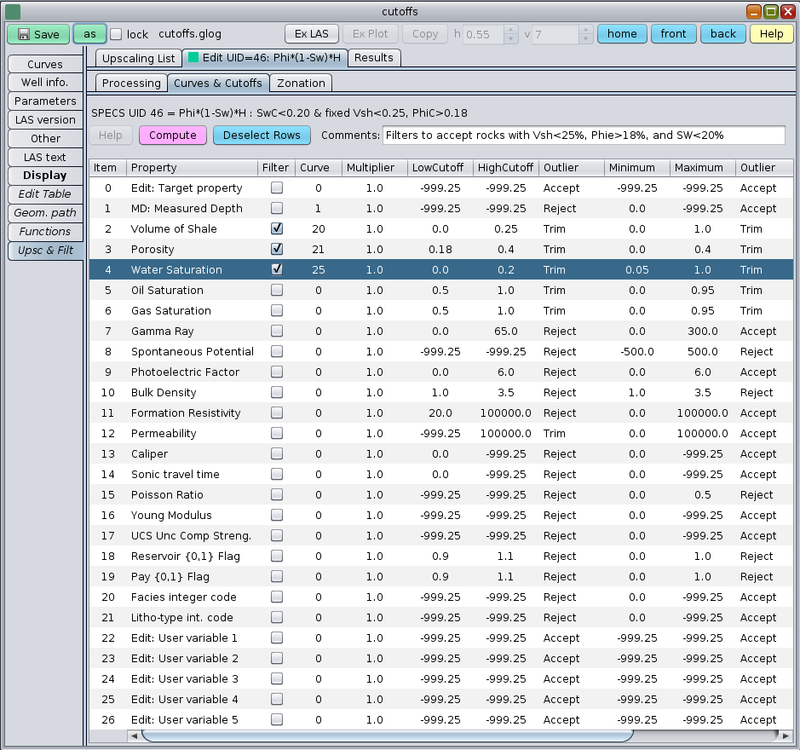 The figure below shows the upscaling list panel. 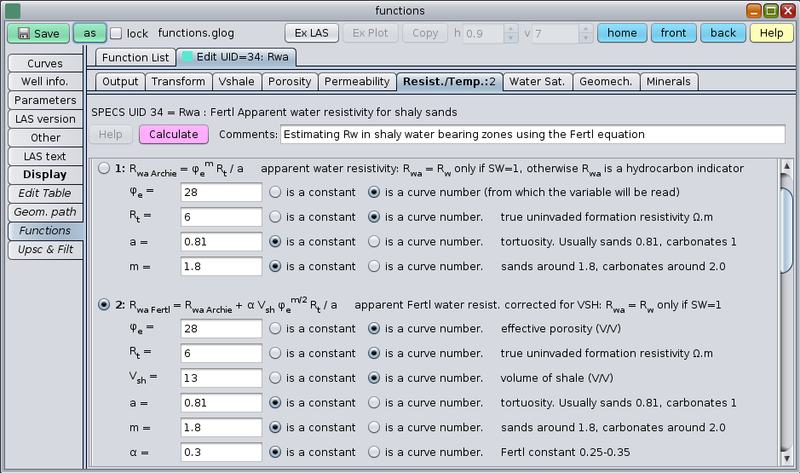 Notice that net-sand, net-pay, porosity and water saturation were included. 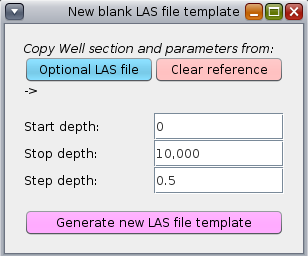 STEP 2: Use "Extensive Upscaling" as the processing type to compute net-sand. 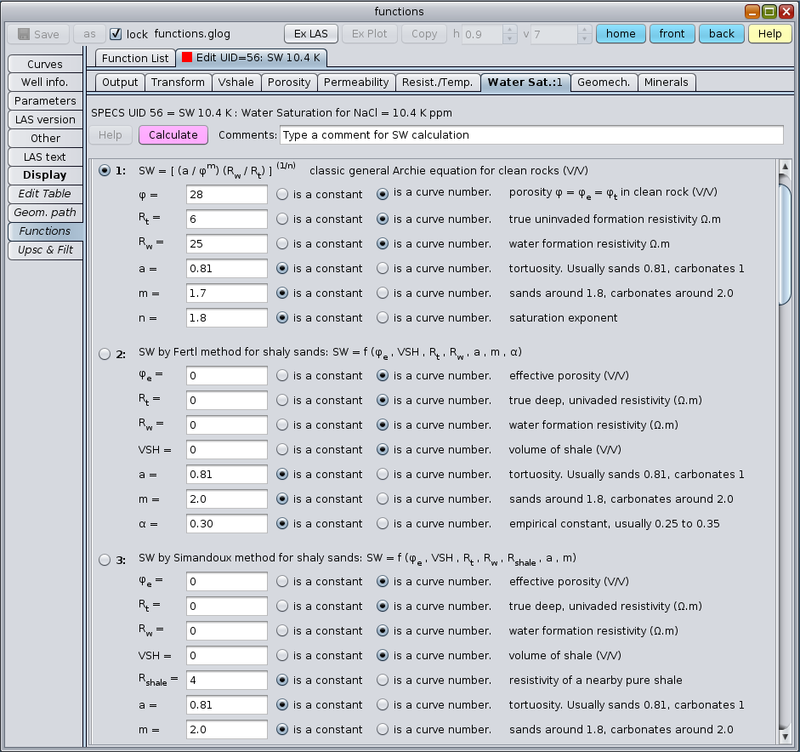 In the second step, the user opens the row for net-sand, and declare the processing type as "extensive upscaling". 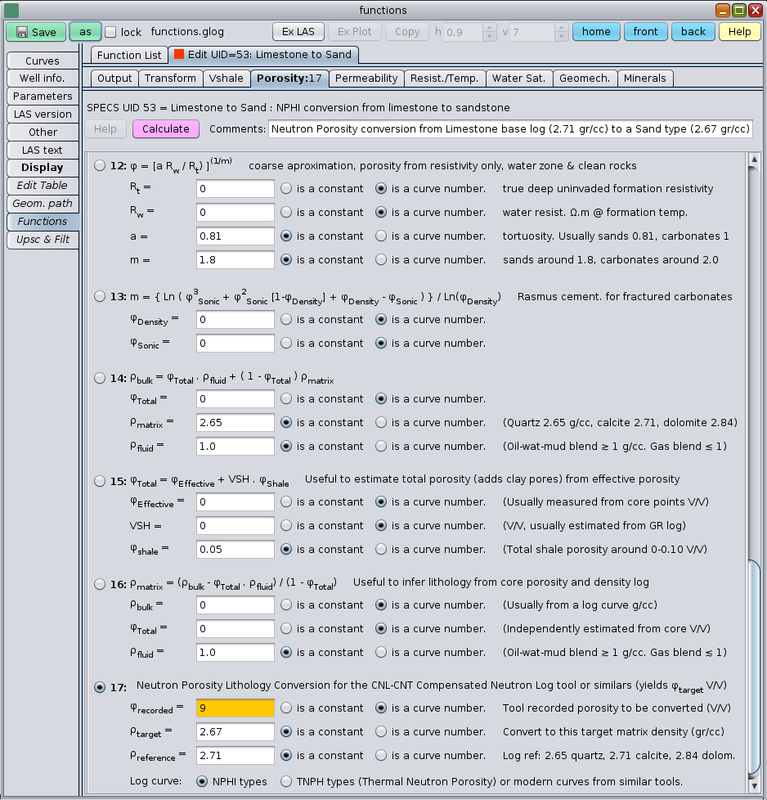 Properties like summations, net totals should be treated as extensive properties. 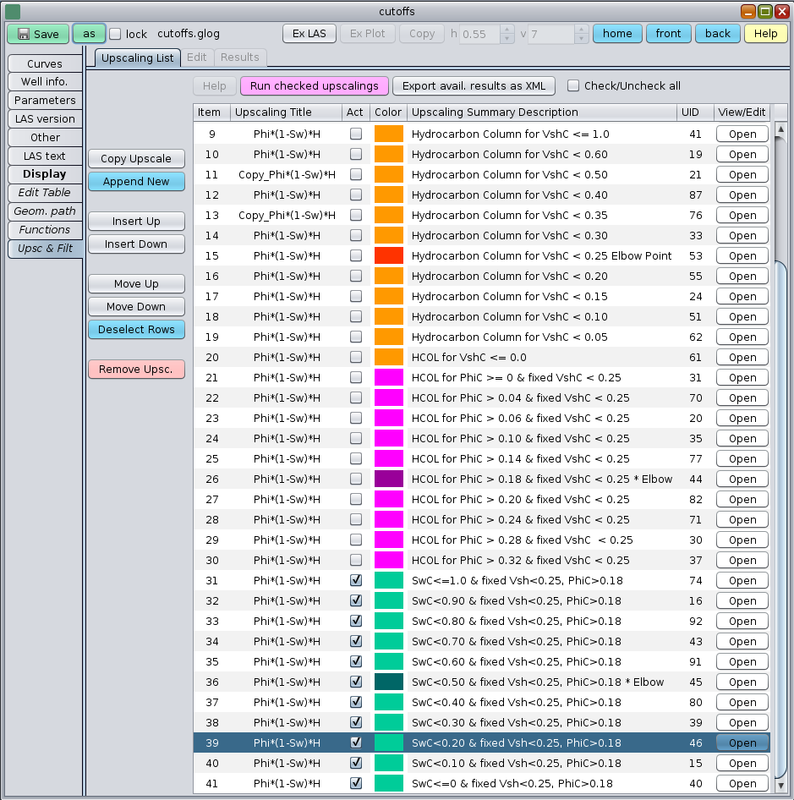 The figure below shows the Processing Panel, with extensive upscaling selected. 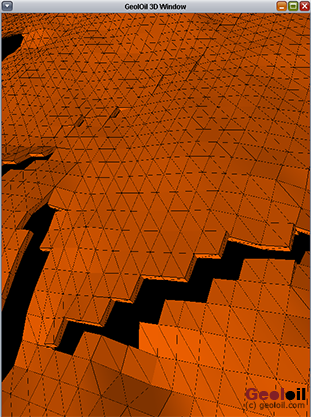 STEP 3: Define the cut-off system for net-sand. 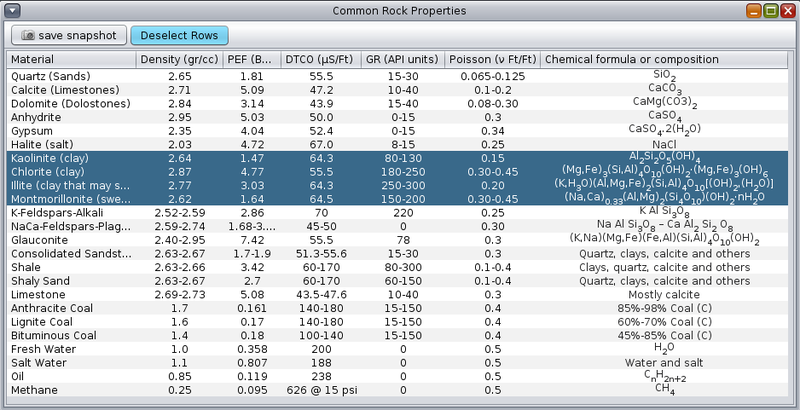 There are no fixed rules on what petrophysical properties should be filtered. 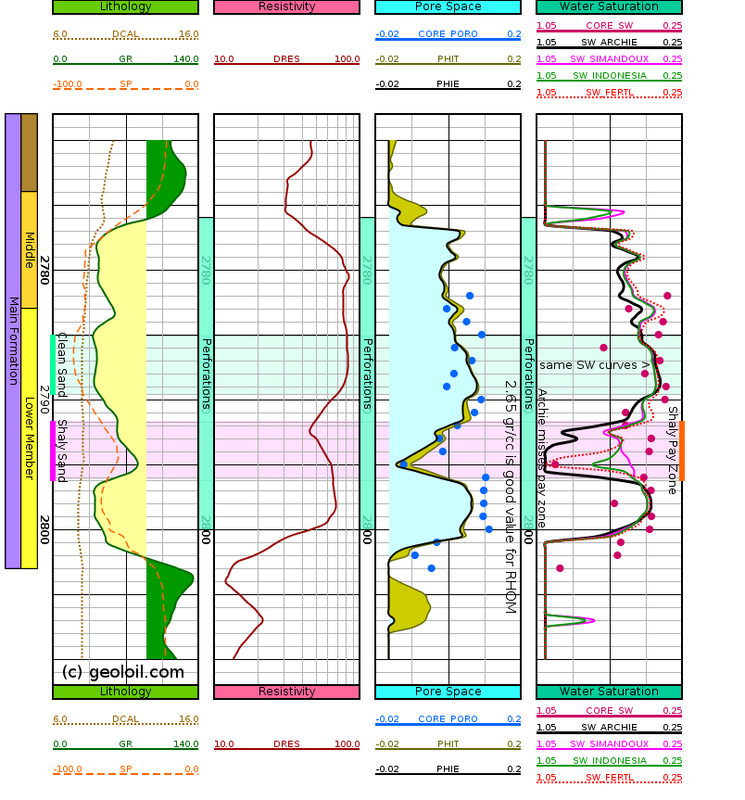 In many clastic reservoirs, cutoffs are applied to detect clean sandstone porous rocks. 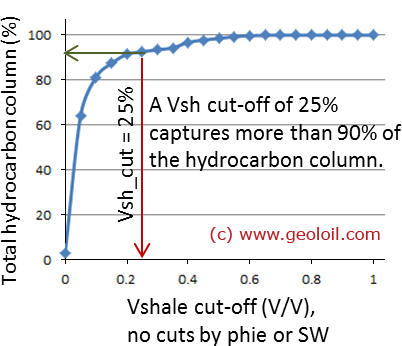 Hence cutoffs like Vsh < 30% (for which gamma ray could be around GR < 65 API units in some reservoirs), and effective porosities around PHIE > 7% are found quite often. 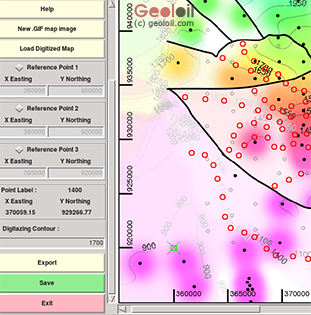 Other clastic reservoirs can have dolomitic sands embedded, so it will advisable to apply a filter for photoelectric factor that discards dolomite minerals with a PEF value of around 3 Barns/E. That is, using a filter like: 1.7 < PEF < 2.2 will accept only quartz sandstones. 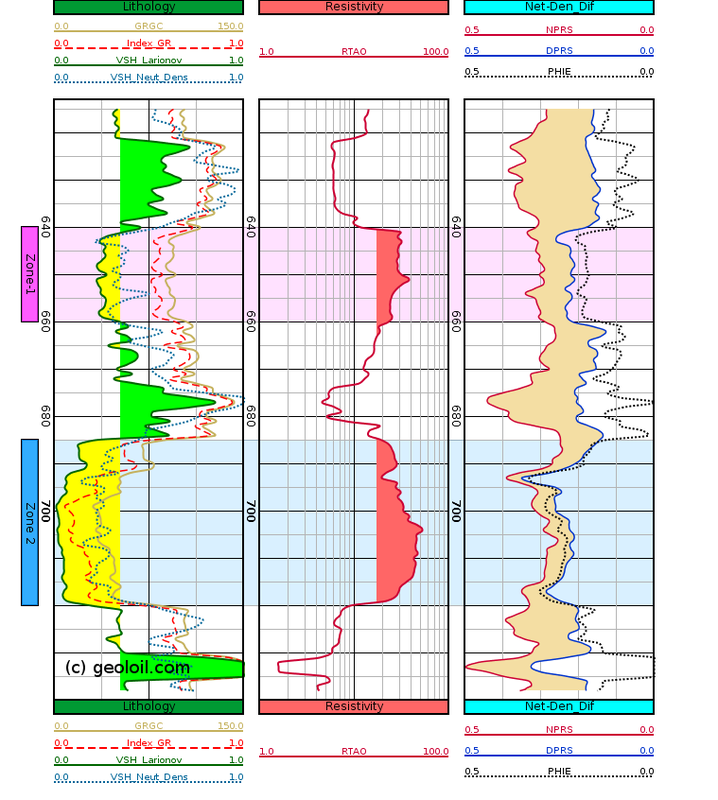 Other sedimentary environments, like some marine limestones carbonate reservoirs and some eolian sandstone reservoirs almost don't have clay minerals in the rock's fabric. 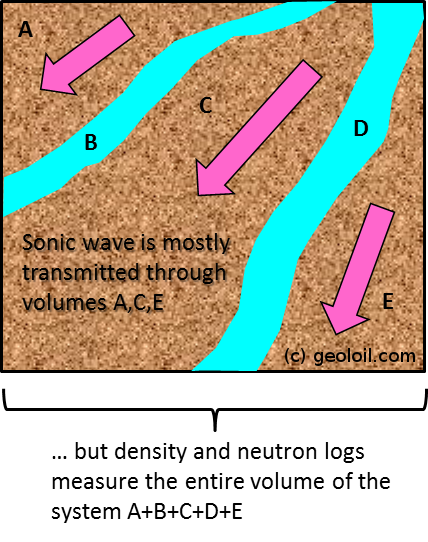 In those cases, GR is usually very low, bringing a base line of white noise that could be discarded. 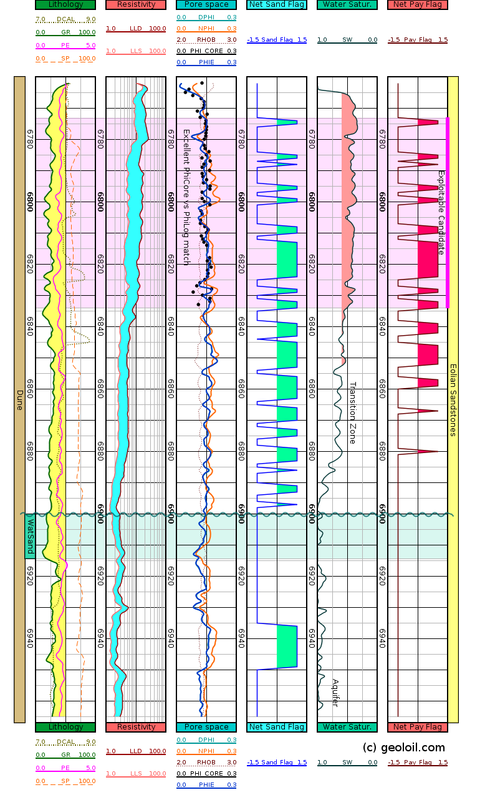 On other cases, the radioactivity response is not associated at all with clay minerals, like in radioactive sands. 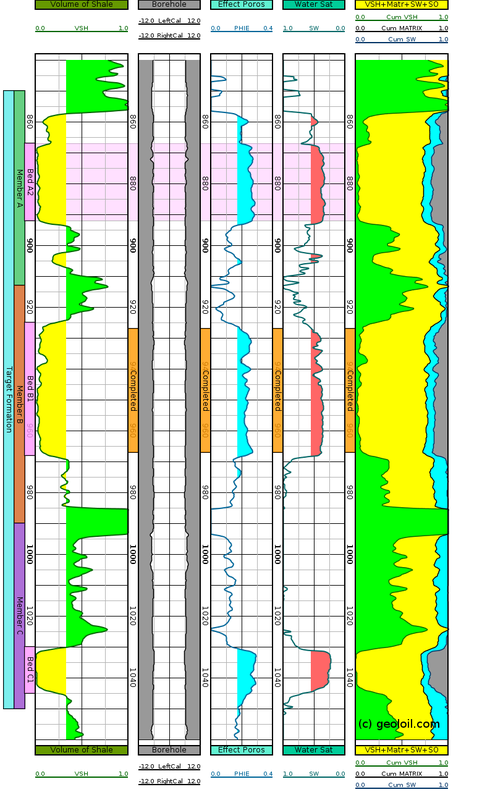 The case study illustrated in this article, is a clean eolian sandstone reservoir. 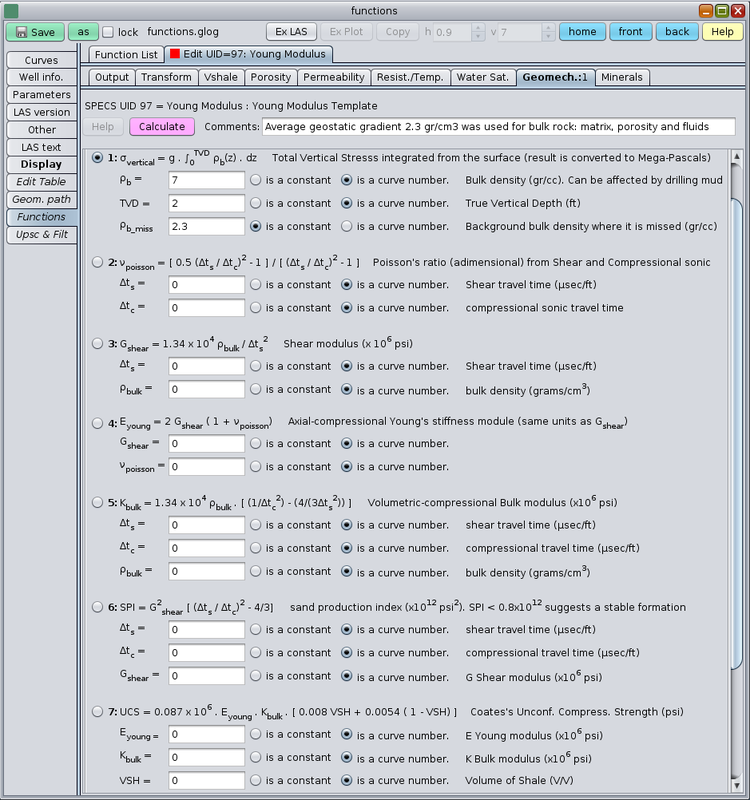 After a very low estimation of Vshale was calculated, it was decided not to apply any filtering for shaliness, and if some Vshale filtering would have been applied, the rock would easily passed the filter. 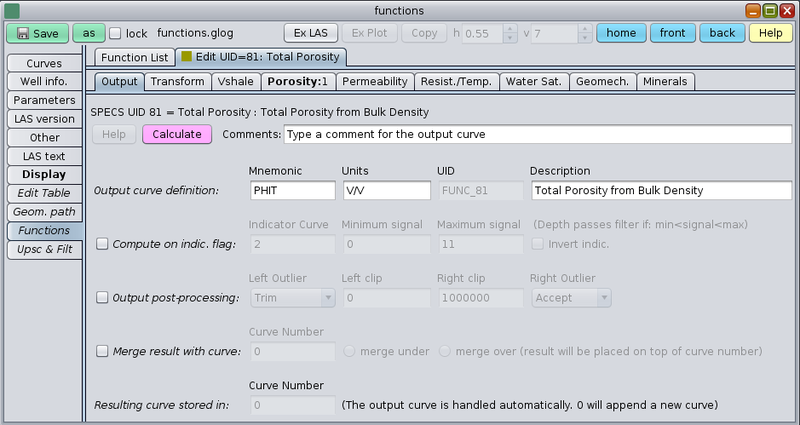 In the image below, notice that item row number three specifies the porosity curve at the position 14 of the LAS file (the user can always edit the LAS file mnemonic list with GeolOil and move the curves to any desired position). 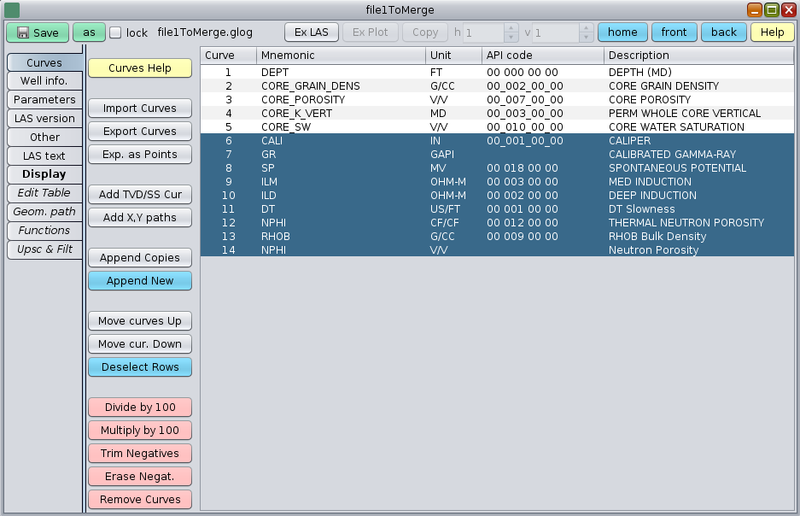 Also notice that the item row number zero, declares no "target property" (curve number is 0). 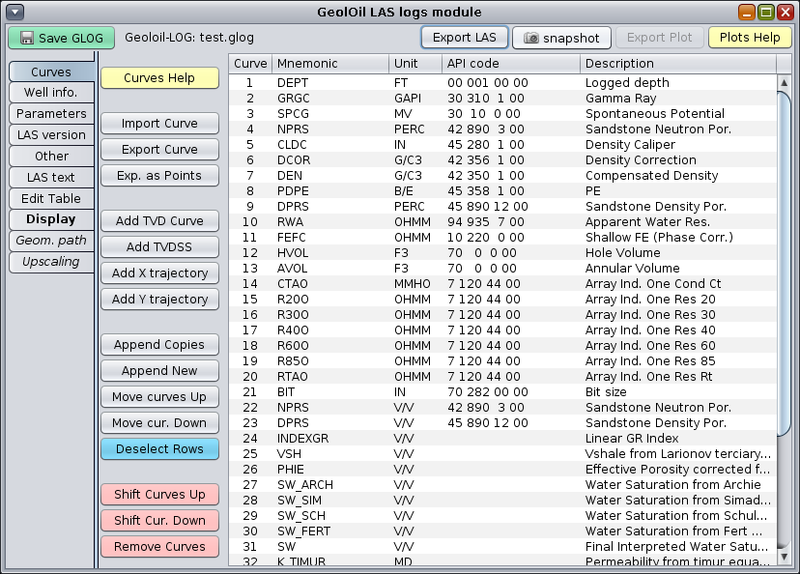 This tells GeolOil that no property will be introduced in the pore space, so the extensive upscaling will consist to apply the cutoffs to the rocks, raise an indicator flag for each verticalized depth step and calculate a depth summation to yield a net-sand summary value. 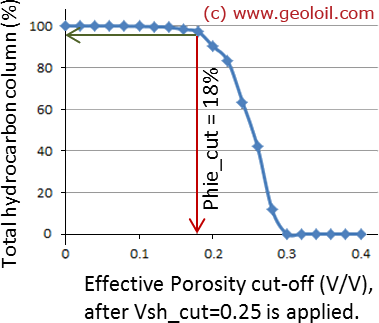 The figure below shows the cutoffs panel, where only rocks with porosities of more than 7% are accepted. 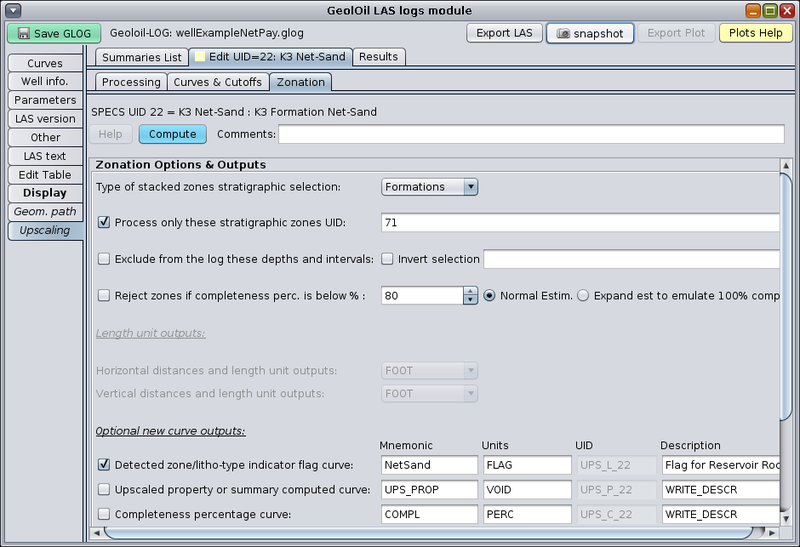 STEP 4: Declare for which stratigraphic zone the upscaling will be computed, and the output curves. 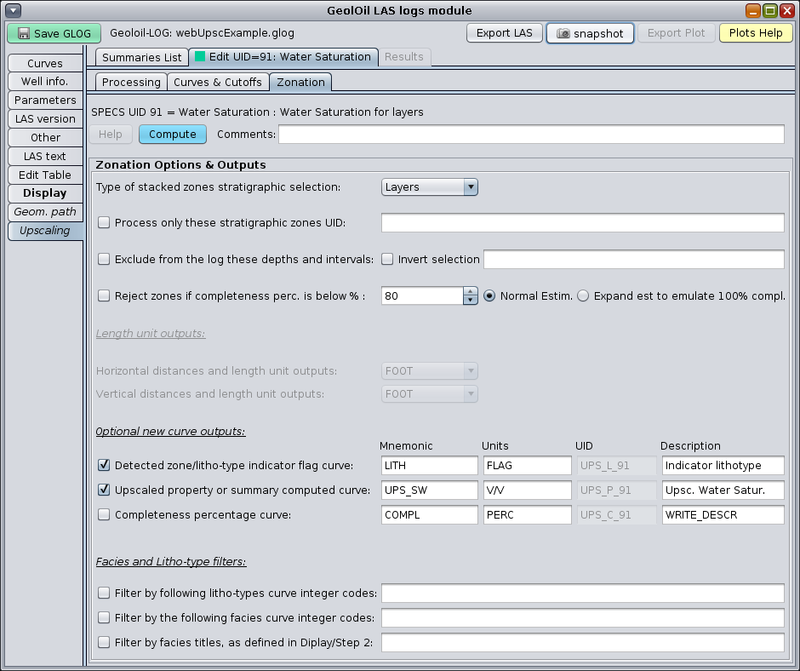 The fourth step is to declare for which zones the upscaling will be computed and specify an output indicator flag curve for net reservoir rocks. 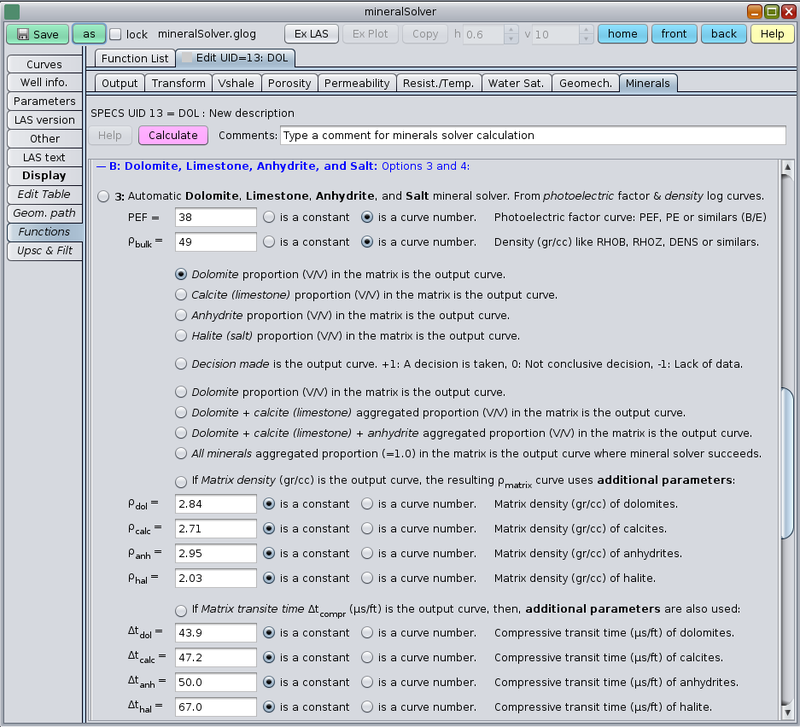 The case presented asks to compute upscaling for "Formation" zones (and particularly the zone ID=71). 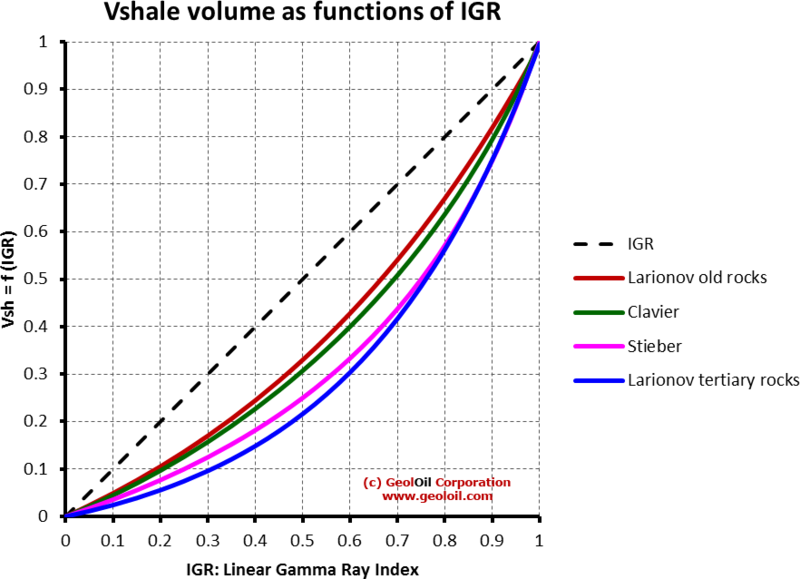 The output indicator flag curve was named with the mnemonic "NetSand". 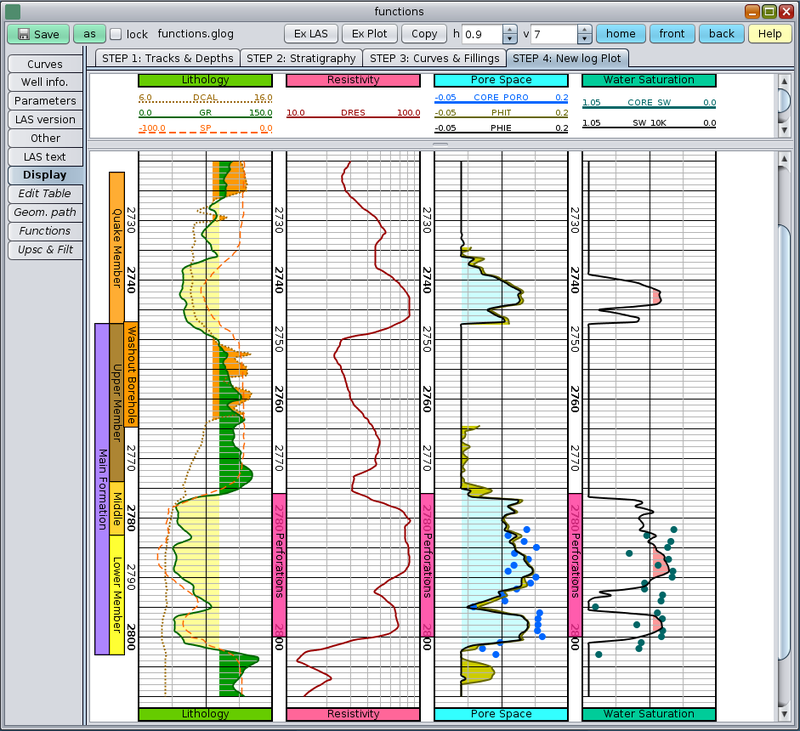 The figure below shows the "Zonation Panel" to select the stratigraphic zones and specify curve outputs. 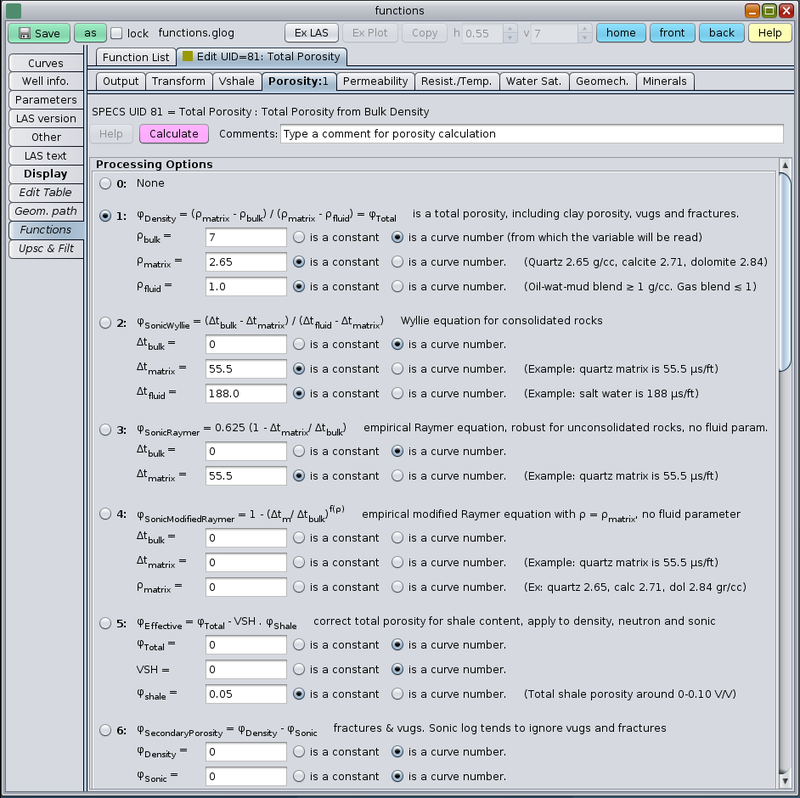 STEP 5: Specify the cutoff system for net-pay. 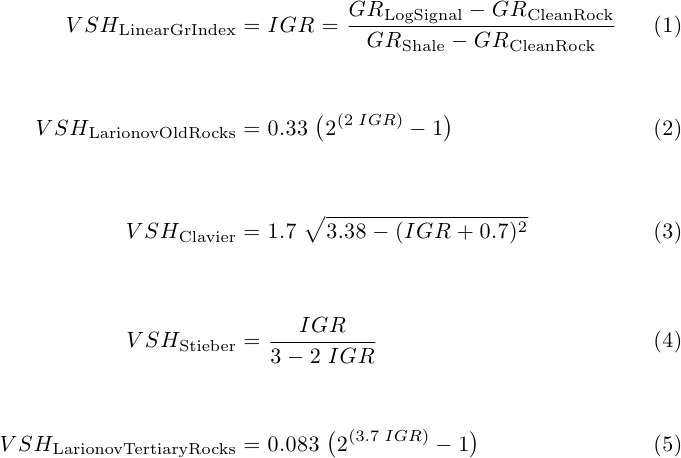 This step involves the same concepts and considerations discussed for net-pay, but with one difference: the rock must bear significative oil or gas hydrocarbons in its pore space. 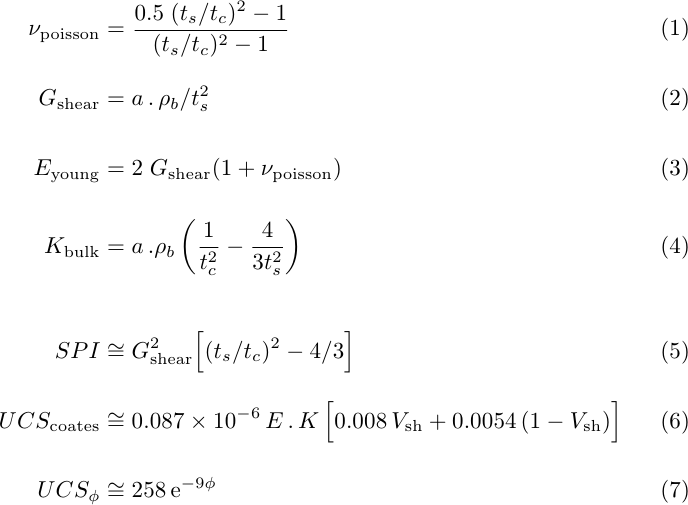 This means that an additional petrophysical property must be specified: that property is water saturation. 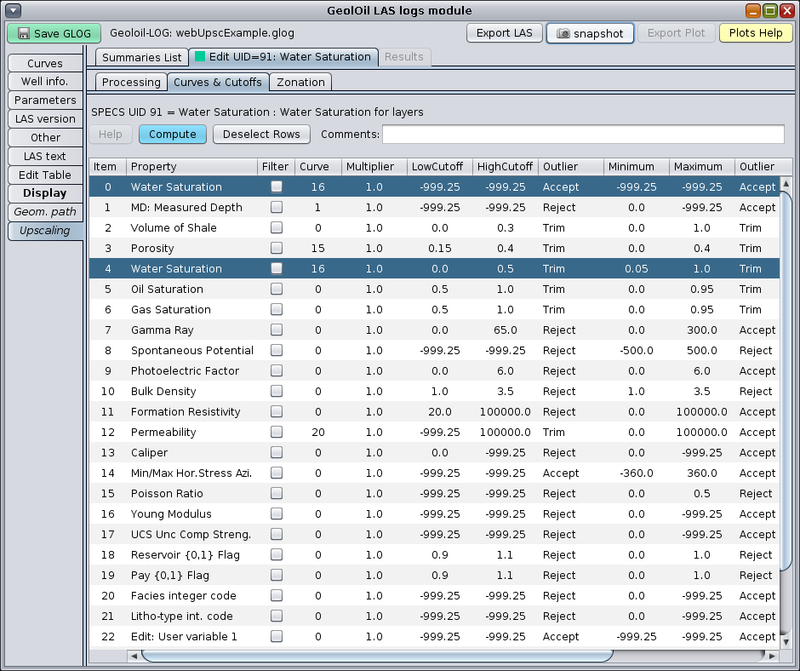 In the image below, the water saturation curve is found in the position 20 of the LAS well log, and its cutoff filtering was 0 < SW < 60%. 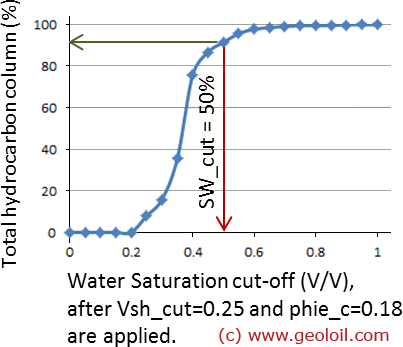 However, what can be done if the user has to do a quick and dirty flash study of a reservoir with raw, non interpreted original curves?. 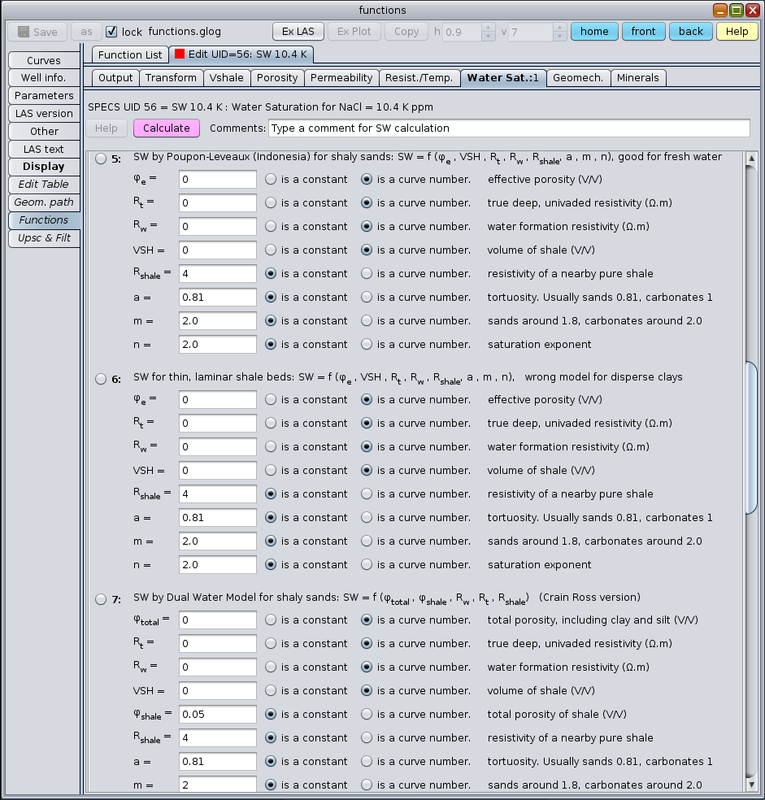 In such cases, some simple reservoirs can be screened with an approximate quick cutoff system. 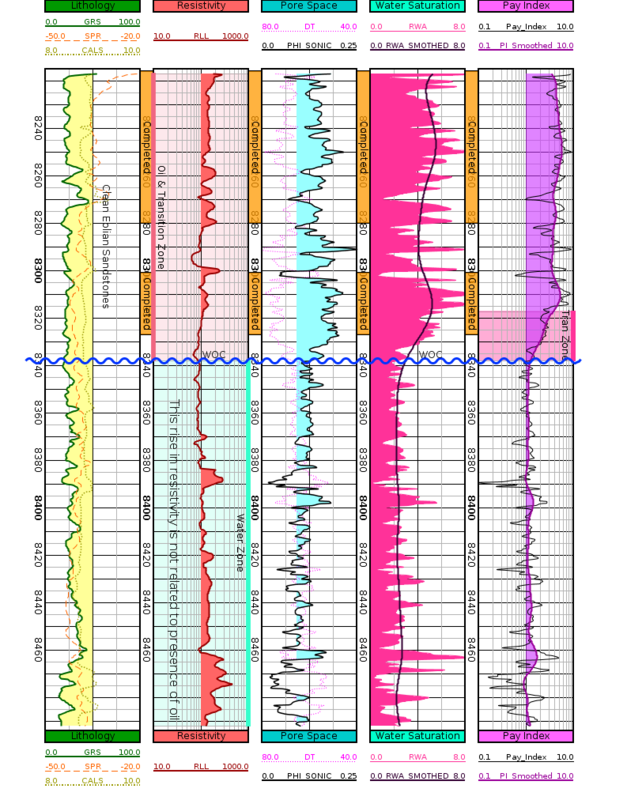 We have seen some clastic reservoirs to respond reasonably well with only two cutoffs of around GR < 60 API units, and a deep induction resistivity cutoff (this value would depend upon reservoir temperature and formation water salinity, so there is no a default or standard value to be referred or suggested, even approximated). 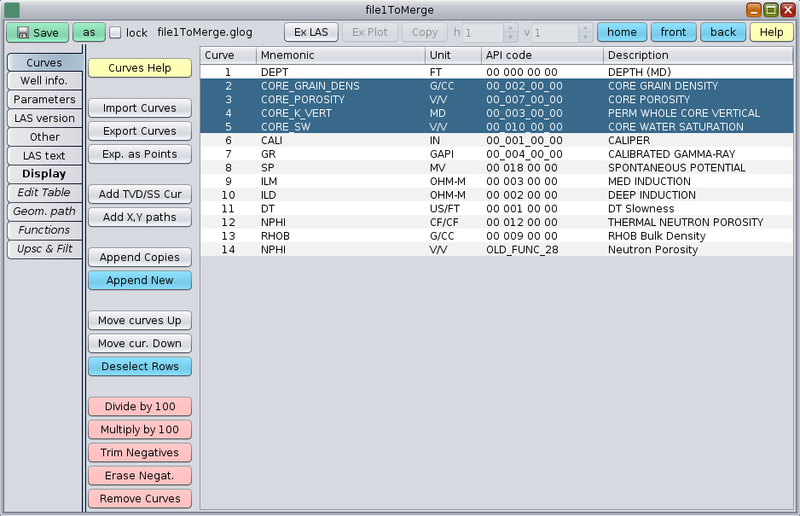 The figure below shows a cutoff system for net-pay. It's the same as net-sand, but SW is added. 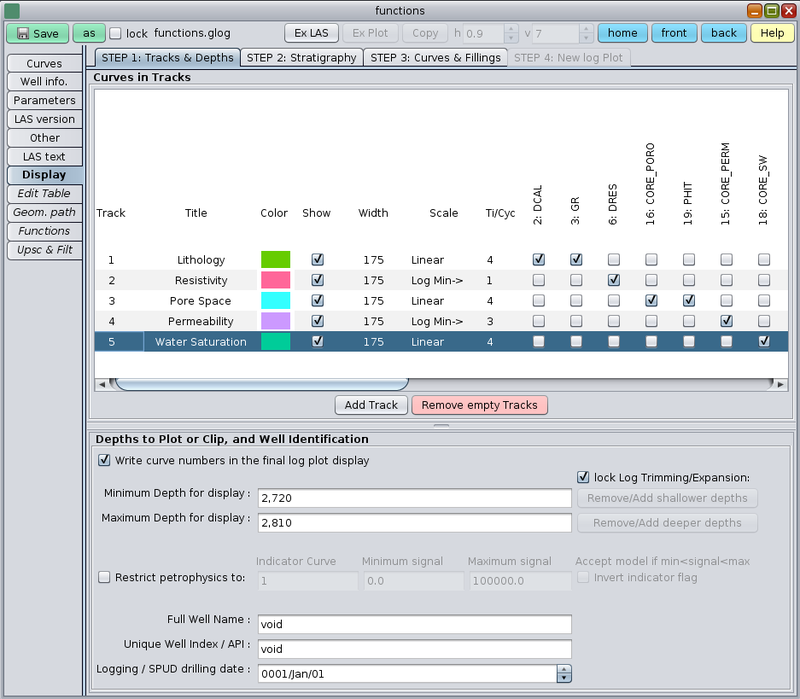 STEP 6: Display the new resulting net-sand and net-pay well log indicator curves. 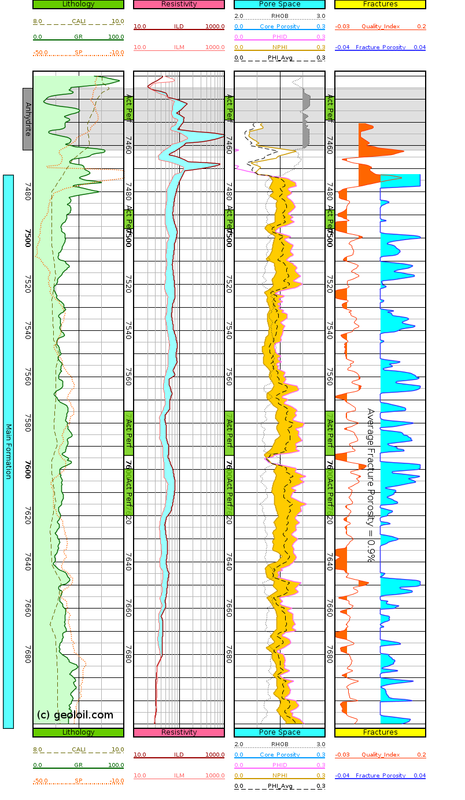 Finally the user can plot the resulting curves. 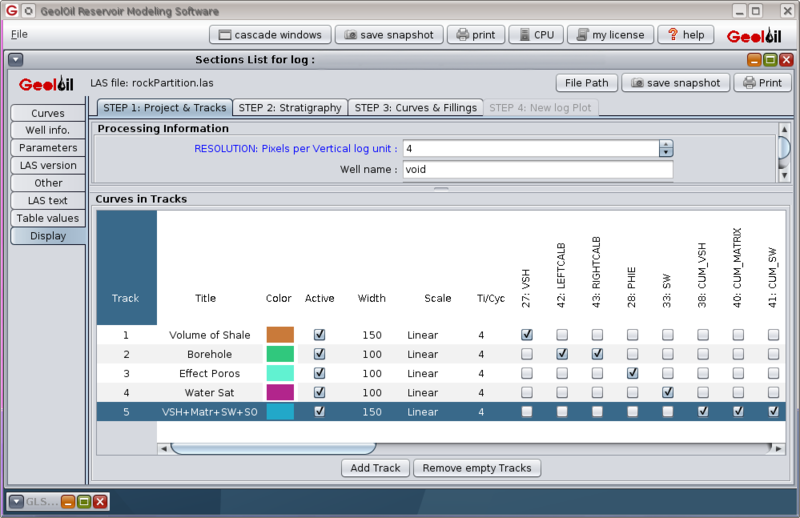 In the image below, the Net-Sand track shows the reservoir rock indicator flag corresponding to net-sand with fillings in aqua color. The Net-Pay track shows the pay rock indicator flag with fillings in burgundy red. 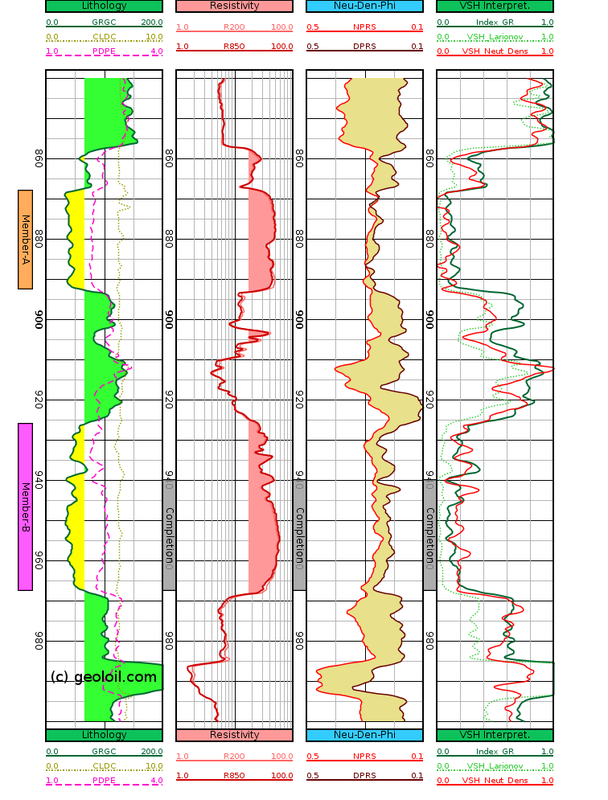 The figure below shows a plot of indicator flag curves for net-sand and net-pay.